Click Here to Ask An Expert Do you have some questions that you would like to ask a professional dryer repairman? 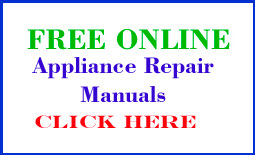 Looking for a Clothes Dryer Repair Manual? Has your dryer quit? Are your wet clothes piling up? Is your dryer just not drying like it used to or not heating up at all? Is your dryer getting noisier? If the answer to any of these questions is yes, those problems and many more are covered in this dryer repair manual. No need to call an expensive dryer serviceman, and then wait a couple of hours (or DAYS) for him to show up! Diagnose your problem RIGHT NOW, cheaply and easily, with our FREE ONLINE clothes dryer repair manual! Not as hot as it should be? Getting warm, but just not drying as well as it used to? Or not drying at all? Rumbling, rattling, squeaking, clacking,or making grinding or other noises? 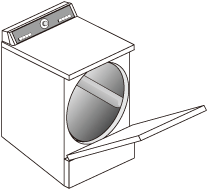 Our clothes dryer repair manual can help! Why not save yourself a lot of time, hassle and money, and just go there first? Diagnosis and repair procedures are included for common symptoms, such as low heat or no heat, noisy operation or rumbling sounds, clothes taking too long to dry, electrical and timer problems, gas burners and electric heaters, and belt and drive train problems. The dryer manual covers all common brands sold in the US and Canada: Whirlpool / Kenmore / Inglis, GE, Maytag, Hotpoint, JC Penney, Amana, Norge, Speed Queen, Westinghouse, Kelvinator, Frigidaire, Gibson, Montgomery Ward, Signature and many others. Please share our clothes dryer repair manual. Appliance Repair Copyright © 2019 All Rights Reserved.